Wizard creates and maintains websites for a variety of organizations. Consignment Works LLC successfully draws customers to the Lancaster PA store. 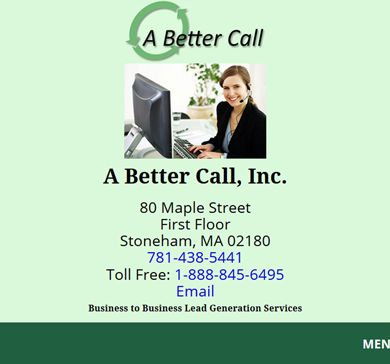 A Better Call (B2B telemarketing) is a major telemarketing company serving the Greater Boston area and with clients throughout the U.S. The site is responsive/mobile device friendly and is successfully attracting new customers. 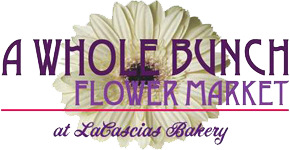 A Whole Bunch Flower Market, delivers fresh flowers daily to Burlington MA and surrounding communities. Amesbury Housing Authority. The Amesbury Housing Authority and Merrimac Housing Authority promote and provide housing for extremely low, very-low, and low-income family, elderly, and disabled households. Stoneham Housing Authority provides affordable housing opportunity for residents of Stoneham, MA. South Shore Support Services, a non-profit agency providing adult family support and services to residents of the South Shore through its facilities in Weymouth. Diana Jarvis, the key to your next move, Lexington and Bedford (MA), has succeeded in attracting buyers and sellers. Diana Jarvis' Blog was updated (Spring 2016) with the "Bourbon" WordPress theme from themeforest. Sally Willard (Webmaster), is the Town Moderator in Burlington MA. The site is responsive/mobile friendsly. ARFF Agility Club, a dog agility club based in the NW Boston suburbs. The site features a custom content management system driving the members only area that enables club members to update information about their dogs and their agility trial results. The site performs well in local searches to attract customers via the web. Self Esteem Boston wanted a discussion board that would enable program graduates to "talk" to other graduates without fear of recrimination or harassment. Wizard implemented a third-party solution. The site features a MSSQL database, with a variety of information easily updated by non-technical administrators. Site design by A-Type Marketing & Design. ©1994 − 2019 All Rights Reserved.